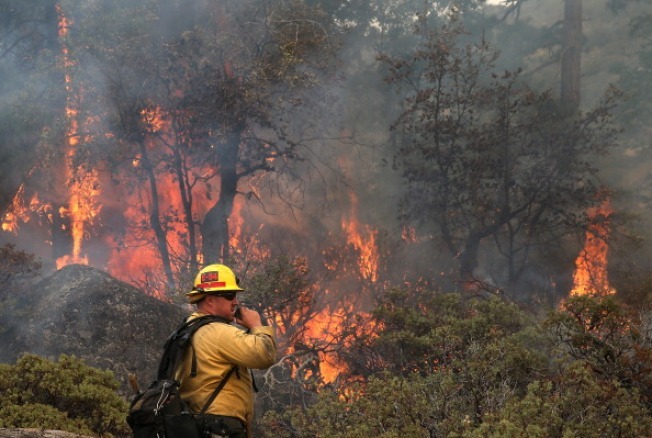 By 2025, firefighting costs are expected to grow to nearly $1.8 billion for the Forest Service. Fighting fires in drought-stricken California and across the West Coast has become more and more costly, according to a new report by the U.S. Forest Service. For the first time in 110 years, the Forest Service will spend more than 50 percent of its budget fighting wildfires, according to the report earlier this week, pushing the agency to a “tipping point.” Severe wildfires have burned across California, exacerbated by severe drought conditions and extreme weather. Those drought conditions, in addition to climate change and other factors, have led to a spike over the past 20 years in the portion of the Forest Service’s budget dedicated to firefighting. Within the decade, the Forest Service, part of the U.S. Department of Agriculture, will likely spend more than two-thirds of its budget battling wildfires, the report estimates. By 2025, that number could top 67 percent of its annual funds, which would mean pulling $700 million from non-fire programs. The spending comes at a cost to programs that may prevent wildfires to begin with, such as forest restoration and watershed and landscape management. Cultural resources and the maintenance of programs and infrastructure that support rural communities on forest lands have suffered. A series of wildfires across the state have burned thousands of acres of land, destroyed homes, closed major highways and local roads, and prompted evacuations. In California, the site of multiple large-scale fires in the past several years, fire season now lasts for most of the year. To fight these fires, the agency has had to pull from their maintenance resources and dedicate time and money to staffing more firefighters, aircrafts and other assets needed to protect lives and property from the fast-moving wildfires. In past years, firefighting has cost more than expected, the report detailed. Halfway through the year, officials would have to take away resources previously allocated for other programs and move them to pay for firefighting as a “fire transfer.” Congress generally will refill the funds after a period of time but the transfer lead to delays in work and progress, the report said. In 1998, the majority of the service’s staff was dedicated to managing the National Forest System lands and the service only had a small portion of firefighters. By 2015, however, the number of firefighters on staff outnumbers the number of non-fire personnel. By 2025, firefighting costs are expected to grow to nearly $1.8 billion for the Forest Service, according to the report. 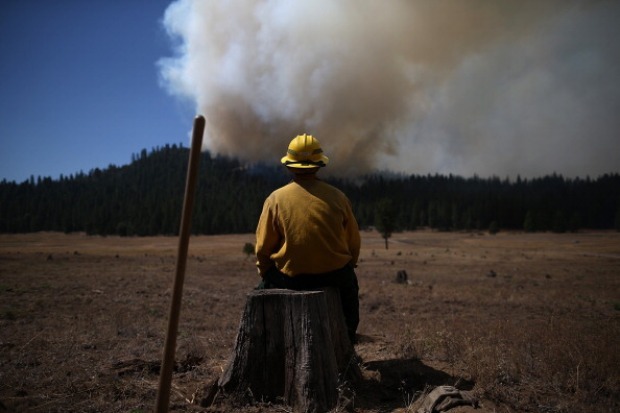 In 2014, the ten largest fires the service battled cost more than $320 million. Ten states have had their largest fires on record since 2000. In July, Gov. Jerry Brown declared a state of emergency in response to severe wildfires burning across California.